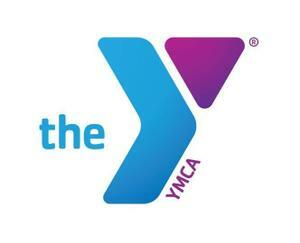 Here at the Shih Yu-Lang Central YMCA located in Boeddeker Park, we are more than a park, we’re a cause. And together with you, our neighbors, members, and volunteers, the Y makes our shared communities healthier and happier places to live. The Tenderloin is changing for the good, and the Shih Yu-Lang Central YMCA is part of that change! Since helping to reopen Boeddeker Park in 2014, the YMCA joined an unprecedented partnership with the Boys & Girls Club of San Francisco, Tenderloin Safe Passage and San Francisco’s Recreation and Parks Department to collectively activate the community. Every day, we work side-by-side with our neighbors to make sure that everyone regardless of age, income or background, has the opportunity to learn, grow and thrive. When you give to the Y, you move us all forward. As San Francisco's leading nonprofit for youth development, healthy living and social responsibility, the Y uses your gift to make a meaningful, enduring impact right here in the Tenderloin. The Shih Yu-Lang Central YMCA is a game changing organization for the Tenderloin. Your commitment ensures that all of the youth, seniors and families can continue attending the 50 hours of free weekly YMCA programs in a safe and beautiful haven away from the challenges they face outside of the Y. Help us reach our goal of $17,000 by giving a gift that is meaningful to you.